Magnet power supplies after a successful installation and commissioning at the JT60-SA site in Japan. Jema successfully completed the installation and commissioning of the five power supplies for the superconductor magnets of the JT60-SA nuclear fusion reactor. The contract was awarded to Jema through a public tender in 2013 by the French Centre for Nuclear Research (CEA) and included the design, manufacturing, factory testing at 100% of nominal power, transportation, installation and commissioning of five power supplies for superconductor magnets of Idc + 20 kA / -20 kA and 1000 V voltage each. The acceptance of the equipment in Japan is a significant milestone for Jema because it represents the culmination of a technically complex project that was completed under the deadline. Meeting the stipulated requirements and deadlines for a project of this magnitude is another boost to Jema’s position in the field of nuclear fusion. The site acceptance test (SAT) was completed successfully last July after meeting the F4E European nuclear fusion agency and CEA required specifications. Jema did full power equipment tests at its own facilities, which provided a lot of value for the client. Due to this capacity, Jema has been able to accelerate work on the ground in Japan for commissioning the equipment and received explicit recognition from the client for this achievement. The JT60-SA fusion reactor will be one of the largest in the world and will be commissioned in 2019. The magnetic configuration of the plasma, which will have an approximate power of 240 MW during the pulse, will be supplied entirely by Jema. The order for supplying the other eight power supplies required for the superconductor magnets was also awarded to Jema through another international tender by the Italian Energy Agency (ENEA). The installation and commissioning of the five power supplies had to comply with serveral specific requirements from the client for integration into a large and complex facility. The JT60-SA project in Japan is now part of the long list of Jema’s accomplishments in this field. There is also a growing interest in nuclear fusion in the private sector and several private organisations currently trust Jema with the development of their power supplies. Jema has a broad experience in the field of nuclear fusion. In the early nineties, they were already supplying all the power conversion systems for the TJ-II machine in Madrid. The advances developed in this field in recent years have reinforced Jema’s international position and, today, they are recognised as one of the most qualified suppliers of energy conversion systems in the world. The contract, awarded by Fusion for Energy (F4E), is a continuation of the recently completed installation and commissioning of five power supplies by Jema for JT60-SA. The eight power supplies were previously manufactured and tested by Jema under another contract with the Italian Energy Agency (ENEA) in 2013. The installation and commissioning of those eight power supplies started in September, 2017 and are scheduled for the first trimester of 2019. 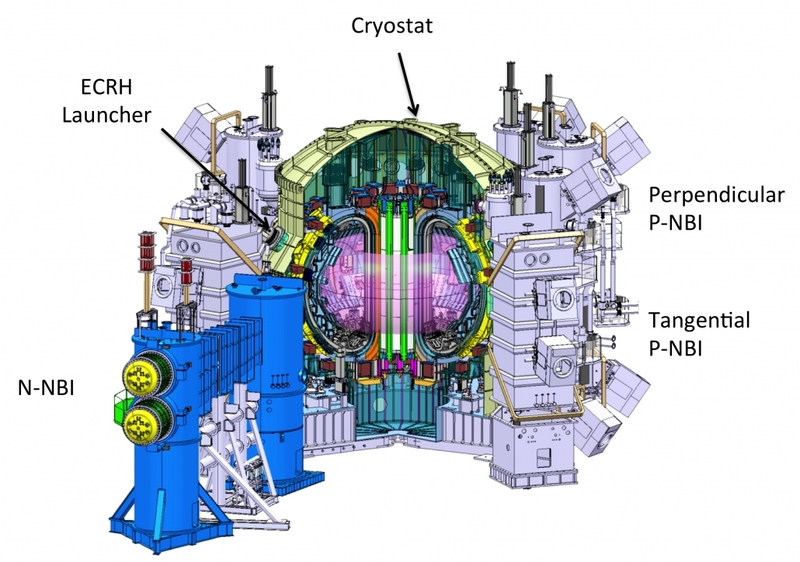 JT60-SA will become one of the biggest fusion reactors in the world. The thirteen power supplies needed for confining the magnetic plasma have been built by Jema and can deliver approximately 240 MW of pulse power.